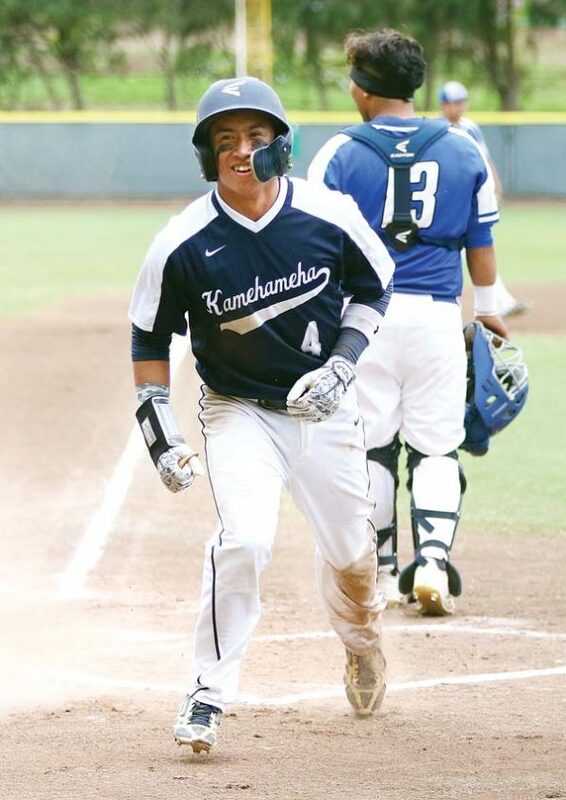 WAILUKU — It was nearly a nightmare three-peat for the Kamehameha Schools Maui baseball team, but just when things looked bad Friday at Maehara Stadium, the Warriors buckled down to clinch the third state tournament berth in school history. Iokepa Supnet came on to get the final two outs in a dramatic save in support of starter Tristan Catan — the pair of veterans finished the three-hitter to end the season for defending state champion Maui High with a 4-3 win. The game ended with runners on second and third. The Sabers beat the Warriors in second-place playoff games for the final Maui Interscholastic League berth each of the last two seasons. “It feels good because last year we know we could have beat them because we beat them during the season like this year, but I just felt like we were a better baseball team this year,” Catan said after allowing three hits over 6 1/3 innings, striking out four and walking one. Kamehameha Maui head coach Mo Lau Hee said it was satisfaction to nail down a state berth to go with an MIL pennant in 2009 and a runner-up finish in 2011. “It feels great, especially for our program, this team, our seniors to come full circle and make this impact on our program is awesome,” Lau Hee said. The Warriors (10-3) will face Baldwin in the MIL tournament final today at noon, while the Sabers (5-8) are done. 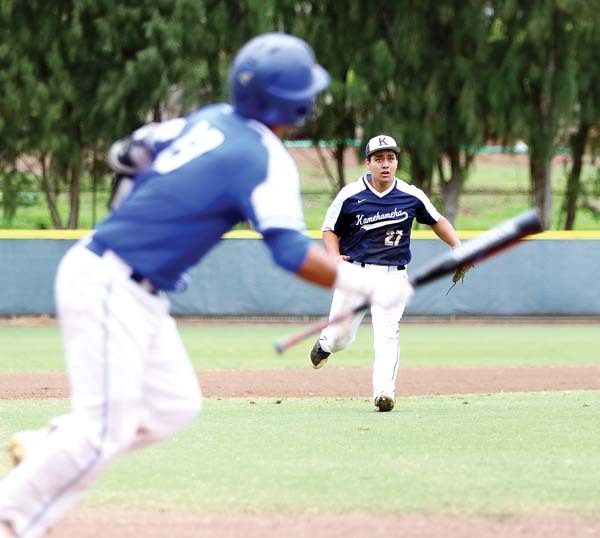 A Kamehameha win would force a winner-take-all championship game on Tuesday. A balk by Supnet with two runs already in moved the runners to scoring position, but he finished the game by striking out pinch-hitter Donnie Archer and getting a fly ball to left field from Jyrah Lalim. Nate Facuri drove in two runs in the first inning for the Warriors and the Sabers got one back in the third on three errors, the final one allowing Haoa Jarnesky to score. Supnet smoked an RBI triple to right field over the head of right fielder Christian Lee to push the lead to 3-1 in the fourth. Catan did not allow a hit until Jarnesky smacked a clean single up the middle with two outs in the fifth inning. Rio Moleta delivered a sacrifice fly to center field in the fifth to make it 4-1. Maui High came roaring back, getting the go-ahead run aboard with one out in the top of the seventh. Trestan Carter walked to lead off and Micah Saki singled one out later. 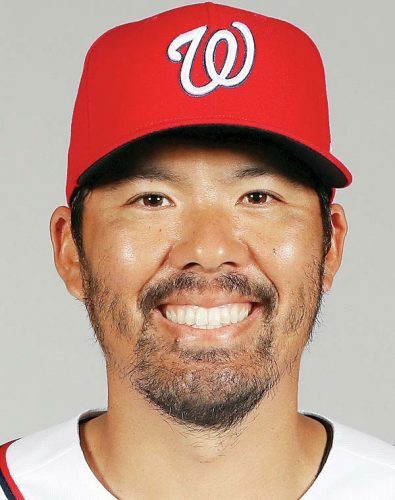 Kamahao Ching then smacked a hard grounder to Facuri, the shortstop, who saw the ball ricochet off his glove for an error that allowed a run to score. Jarnesky then smoked another sharp grounder to third base that Konnor Palmeira could not handle for a single, allowing another run to score to bring the Sabers within 4-3. Supnet came on in relief and promptly balked the runners to second and third on a 1-2 count to Lee. Supnet struck out Lee on a curveball on the next pitch. That brought Lalim to the plate, a state tournament hero last season who missed much of his senior season with a shoulder injury, but he flied out to end the game. 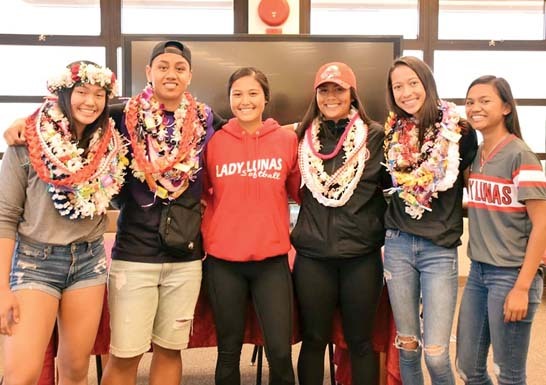 Brent Fukagawa took over as interim head coach for the Sabers when first-year coach Leonard Barcoma stepped away two weeks ago for personal reasons. Fukagawa said he is not sure if he will be back as head coach next year. His first child, a girl named Brillen, was born Thursday. Mikito Barkman and Hauoli Caliva; Tristan Catan, Iokepa Supnet (7) and Ross Panlasigui. W–Catan. 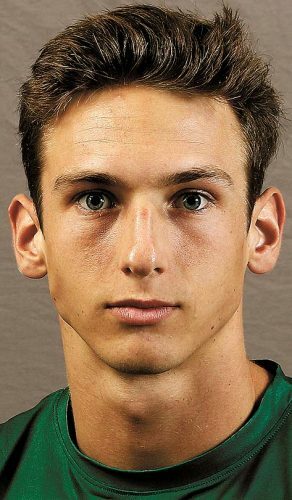 L–Barkman. Sv–Supnet. 3B–Kamehameha Maui: Iokepa Supnet. Leading hitters–Maui High: Haoa Janesky 2-3, run. 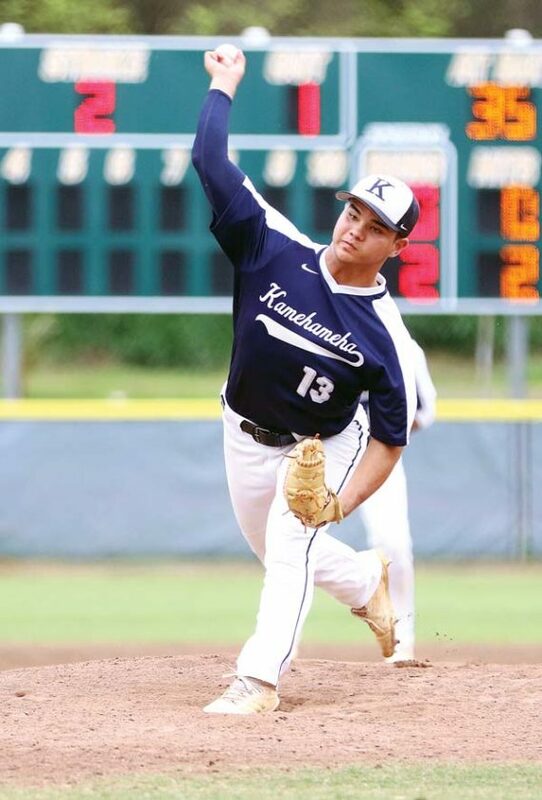 Kamehameha Maui: Supnet 2-3, run, RBI; Nate Facuri 2-3, 2 RBIs.